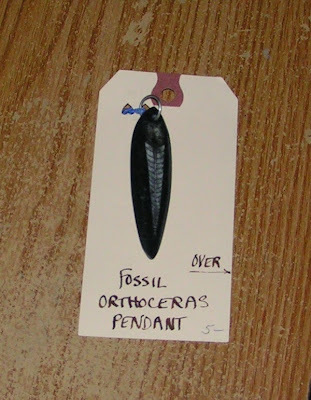 and a super cool fossil pendant from a man named Phil Krumholz - his card says Art to Wear but he doesn't have a website sadly, his jewelry was gorgeous. 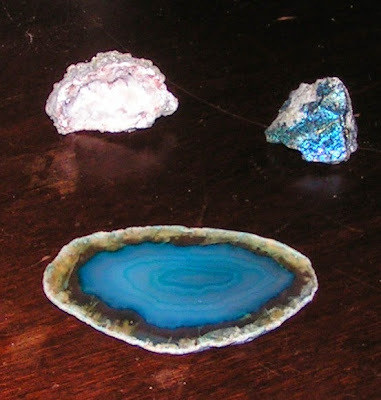 Khloe got a geode, a slice of stained glass-like stone, and a piece of chalcopyrite from Mexico. 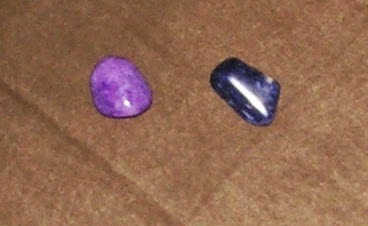 and some little purple polished stones that may become pendants with some knotting or wire wrapping. There was a "fossil dig" for kids that was boxes of pebbles full of polished stones and shark teeth. Each of the girls picked out something. I would have chosen one of the very large teeth if I could have - they were neat. I was pretty worn out from all of that socializing but it was great. I also learned something, especially at the fiber show. One of the vendors was selling handmade jewelry - pretty stuff. It was all the kinds of things I've made over the years. 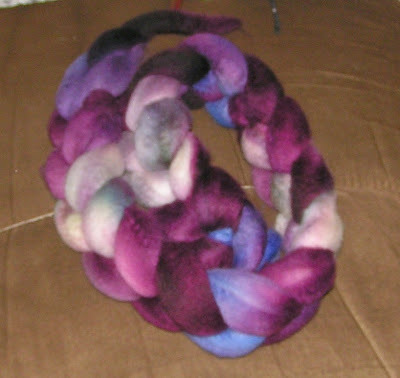 I looked at her prices and it hit me - not everyone can make things. I have a rather easy time figuring things out and tend to undervalue it as a skill. I need to appreciate my talents more and not consider myself "less than" someone who can sing or who has amazing people skills. 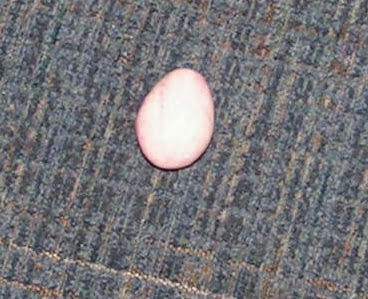 I tell my kids that everyone is special and has their own special skills. It's time to listen to myself. I just wanna say thank you first, for your lovely comment on my blog about my Dad. You gals make me feel less alone in all my pain and for that I owe you all my love! 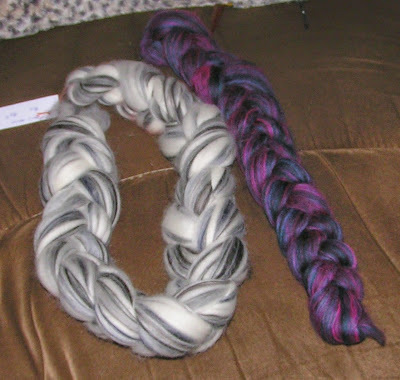 I have only been to one fiber show and it made me wish I was a knitter, beautiful colors you picked out, why I would like my hair to look like that:). I'm a sucker for rocks and would have enjoyed that show too, I have a few pretty cool ones in my collection too.